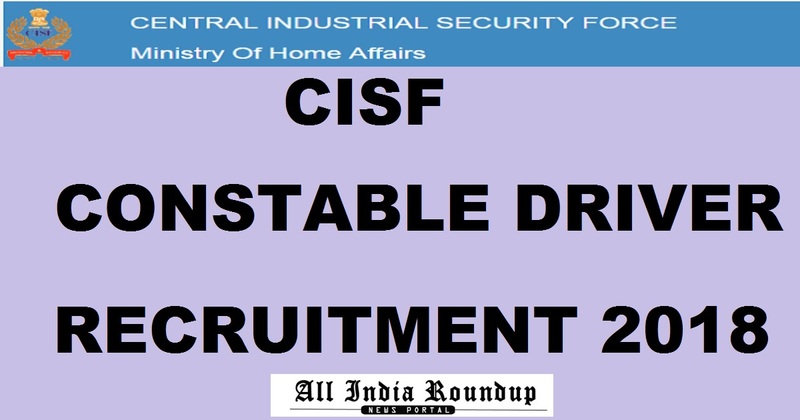 Central Industrial Security Force (CSIF) has released notification for the recruitment of candidates as Constables and Driver. There are about 447 vacant positions for which the notification is released. 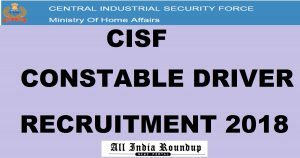 Candidates who are looking for the jobs can check CISF Constable driver recruitment notification and apply online for CISF CT Driver recruitment from the direct link provided below. The Central Industrial Security Force (C.I.S.F) is a Central Armed Police Force in India. The CISF provides security cover to 300 industrial units and other establishments located all over India. is just a unique organization in paramilitary forces for India, which works for sea ways, airways and some of the major installations in the country. It releases notification and conducts various examinations for the recruitment of eligible candidates in different departments. This year it has released notification for the constable posts. Candidates should refer the eligibility criteria like educational qualification, age limit, application fee, selection process, vacancy details pay scale etc. If candidates meet the eligibility criteria they can proceed further to apply online. Follow all the instructions carefully before applying for the post. Candidates should have to possess Matriculation or any other equivalent qualification from a recognized board. Education certificate should be accompanied with Government of India notification. Candidates should have to possess a minimum age limit of 21 years and a maximum of 27 years. Other age relaxation details can be seen in the official notification. Candidates if belong to general and OBC should have to pay Rs. 100/-. Other Scheduled Castes, Scheduled tribes and Ex-serviceman need not pay any application fee. Candidates should have a valid driving license whether a Heavy motor vehicle or Transport vehicle, light motor vehicle, Motorcycle with gear. How to Apply For Constable Driver Recruitment 2018? Click on Constable Driver recruitment 2018. Stay tuned to this webpage for more details regarding the CISF Constable Recruitment 2018. Press CTRL+D to bookmark this page for more exciting updates.